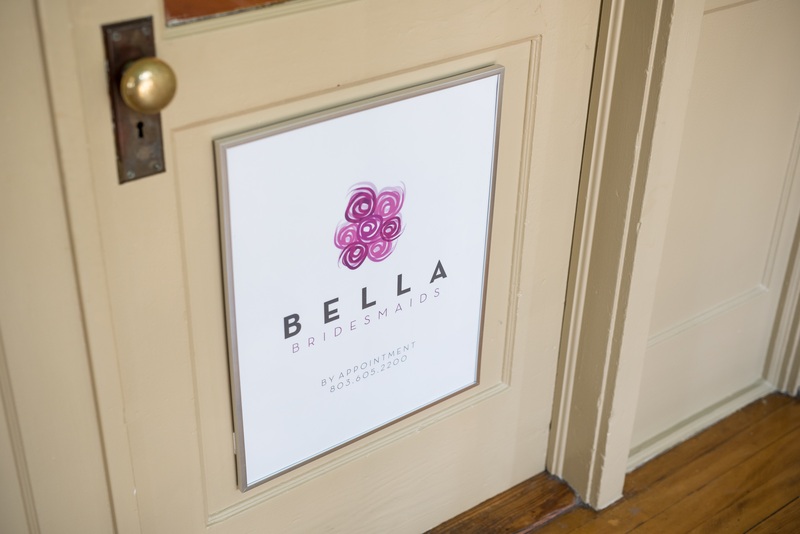 We are so excited to feature the showroom spotlight of Bella Bridesmaids Columbia owner, Carlee Sizemore! Carlee, always knew she had a passion for weddings...she even had a wedding cake for her 10th birthday! Now THAT is passion! Hey, y'all! 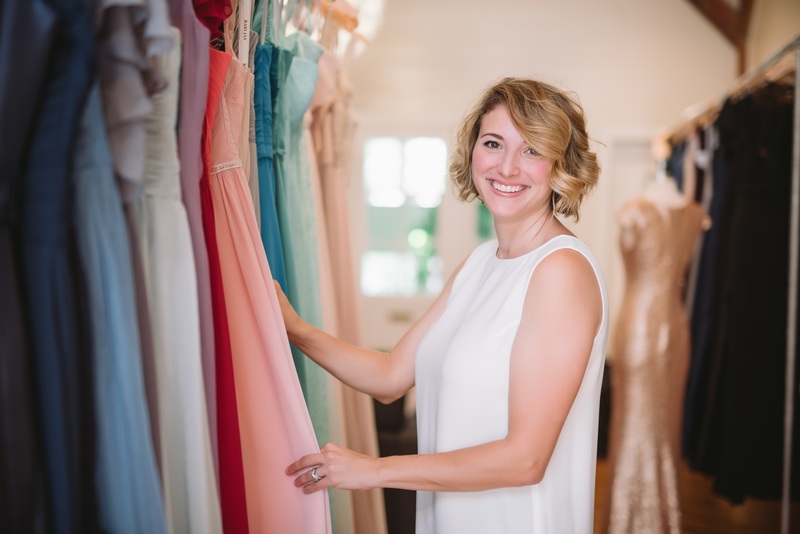 I'm Carlee, Owner of Bella Bridesmaids Columbia! I'm a Columbia native and graduated from the University of South Carolina ('04) in Sport & Entertainment Management. Upon graduation, I took a position with a collegiate sports marketing company and spent a year in Winston-Salem, NC before they transferred me to Atlanta, GA to handle all of their corporate hospitality and event planning. 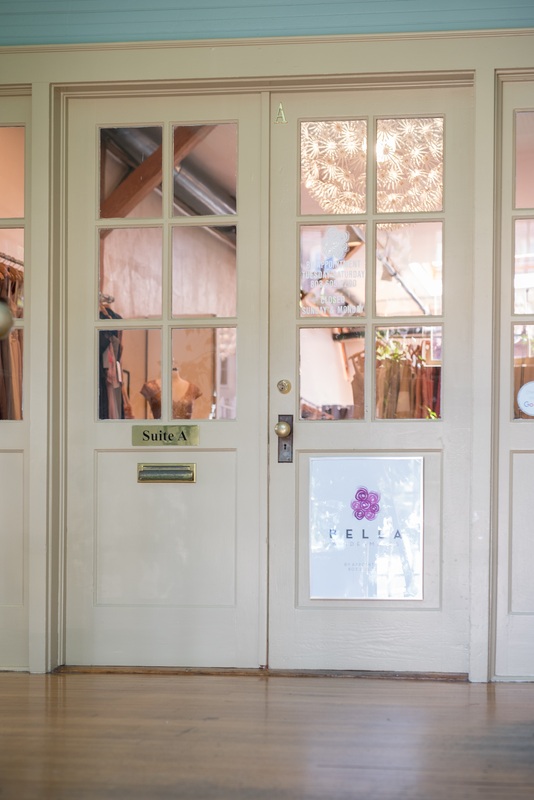 I've had a pretty eclectic career ever since with experience in advertising, corporate and social event planning, event sales, wedding planning, wardrobe and prop styling, bridal accessory design (and production) and stationery, boutique and bridal retail. Whew! We moved from Atlanta to Minneapolis, MN where we had our first son and, from there, headed East to Connecticut which is where we lived until we moved back to Columbia to open Bella Bridesmaids. I had my second son on Thanksgiving of last year, and am proud to be a boy mama through and through. I am a caffeine enthusiast, love a good barre class and aspire to be fancy in the kitchen. What made you decide to open Bella Columbia? I managed the Bella location in Atlanta for a time, so I knew exactly what it took to run the day-to-day operations of this business. After I moved away, I kept up with my business partners (Mandi, Owner - Atlanta, Co-Owner - Charleston and Allison, Co-Owner - Charleston, Co-Owner - Jacksonville, FL). When Bella was looking to expand to Columbia, it was a natural fit for me to move back "home" and pick right up where I left off. After searching all over the city, we finally found our sweet little location in a historic building in the Vista. The original wood floors and exposed beams make the space feel super cozy, while the incredible skylight makes choosing color a breeze. What do you love most about the city of Columbia? I've been back in Columbia for a little over two years now and my how it has grown! We have quite the little local shopping and culinary scene here and, although it's the capitol city, I feel like Columbia is a hidden gem in the state of South Carolina. I can visit Five Points for a coffee or a sandwich and feel like a college student again or I can stop by one of our fantastic chef owned and operated restaurants for a locally sourced meal and a handcrafted cocktail. 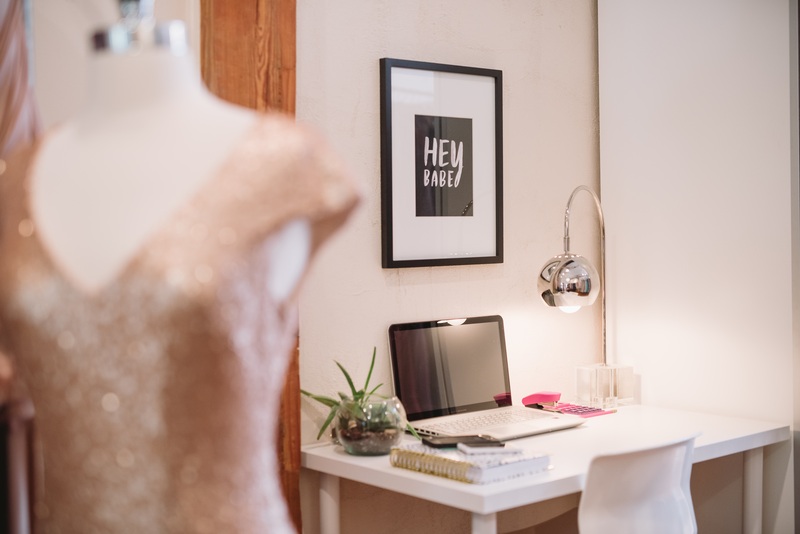 We have some pretty awesome local boutiques, too, who pride themselves on bringing the best and most current trends to the Soda City. We no longer need to travel to find good food and fantastic clothes. It's all right here and I couldn't be more proud of the community that's tirelessly working to make it happen! What's been the most rewarding part about being small business owner? My grandfather started a restaurant on Main Street in 1946 that has grown into one of the largest catering companies in the state. My father runs the business now and to be able to share that experience as a small business owner with him - in the same city - is amazing. Building something where once there was nothing is an incredible sense of achievement. I also have the most fantastic group of entrepreneur friends and wedding industry folks and feel so lucky to have such a great group to talk with and build our businesses together. What's been the most challenging? The entire success of my business rests firmly on my shoulders. I'm not only a business owner, but - and more importantly - I'm also a wife and mother. Sometimes finding that balance - or rather - learning to manage my time in the most productive manner has been a challenge. It's constantly a work in progress, but something I'm always happy to work on. What is the best advice you have for brides to be? Don't lose yourself in the overwhelming options available. Yes, that wedding on featured Style Me Pretty is lovely, but try to figure out exactly why you love the dress/cake/bouquet/venue. 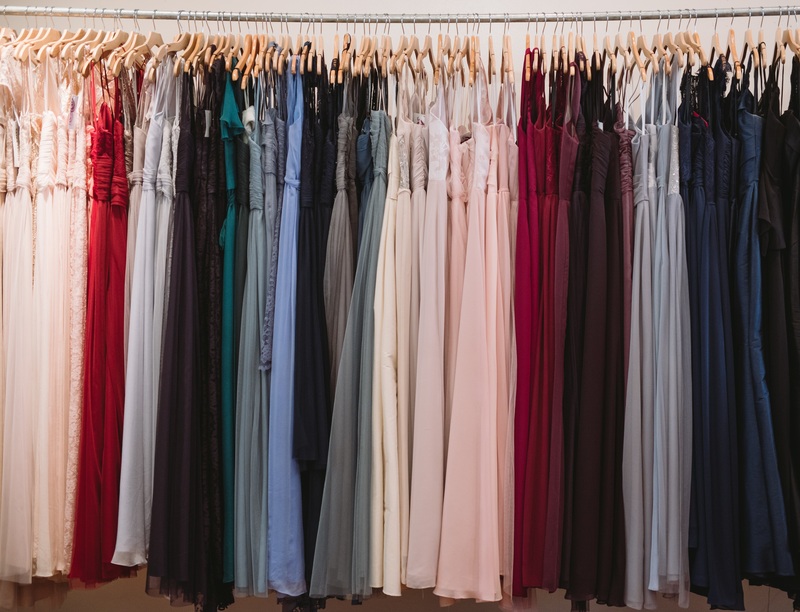 Do you love the color of the bridesmaids dress or the way it flows? Maybe you love the shape of the bouquet or a certain flower featured. If you are marrying in a field and your bridesmaids are definitely wearing flower crowns, let's focus on light and airy and maybe a little boho vibe for your girls. Zoom out to see the big picture and try to place all of the elements you love like puzzle pieces to create a cohesive vision that perfectly captures your personality and how you want to feel on your big day. 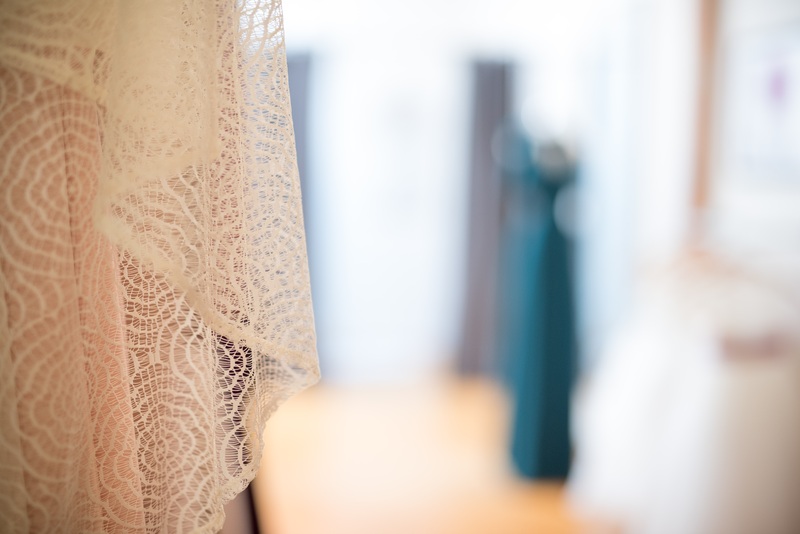 What color and style trends are you loving for 2016 weddings? I love a fabulous back on a dress! Also, give me all of the whimsical fabrics. More tulle! More lace! More floral prints! More beading! More is more and you'll never convince a Southern girl any differently.